Boneless skinless chicken with rib meat, savory seasoned. 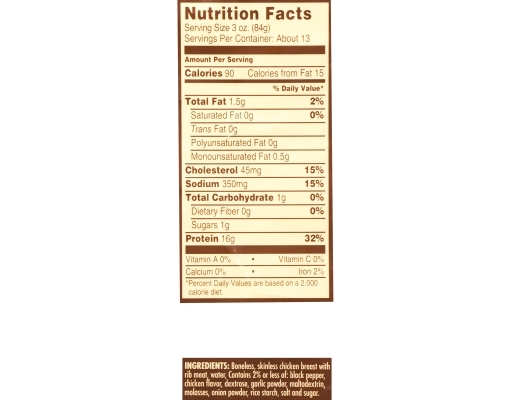 No preservatives, 98% fat free. 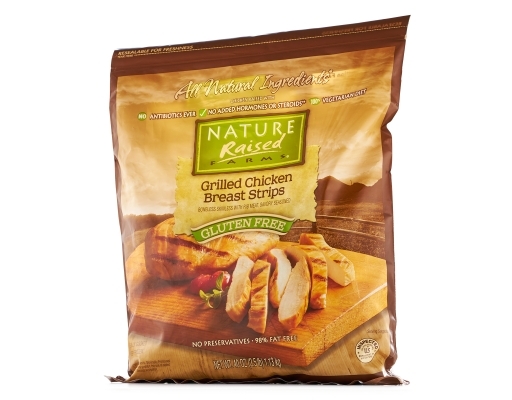 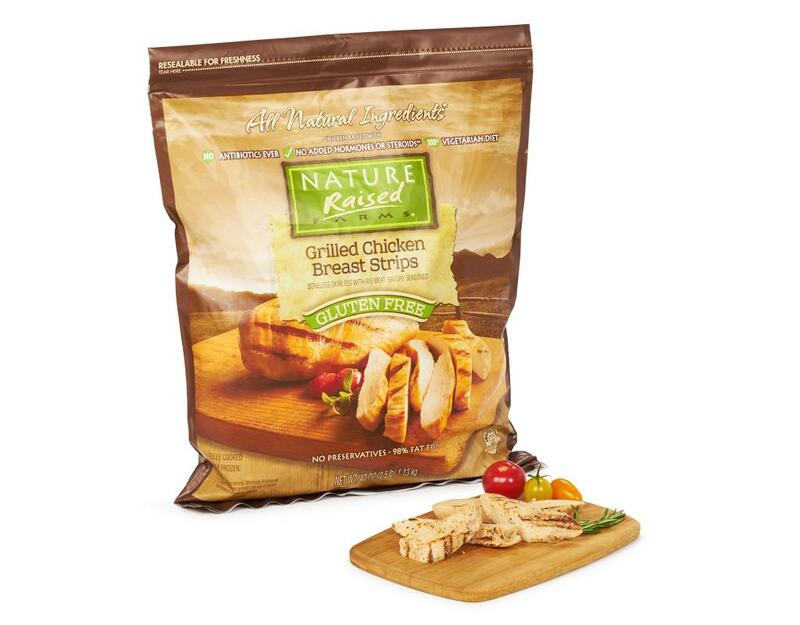 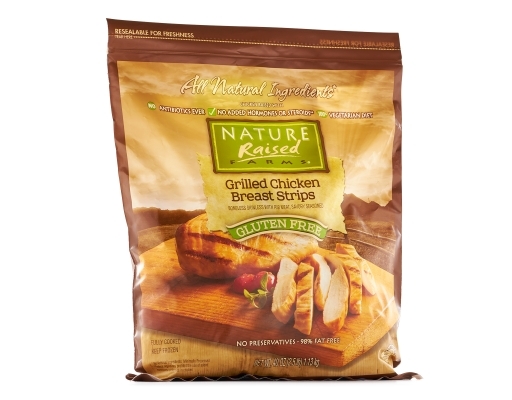 Ingredients: Boneless, Skinless Chicken Breast with Meat, Water. 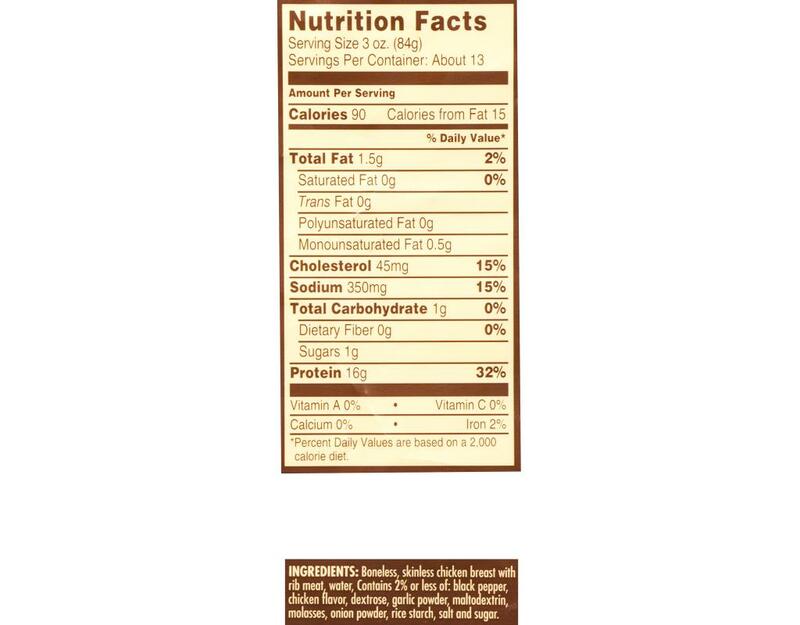 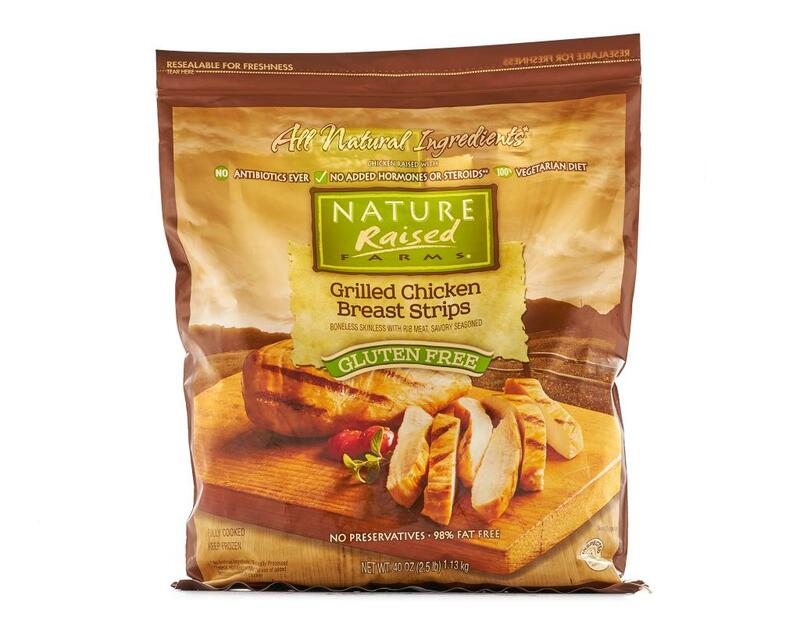 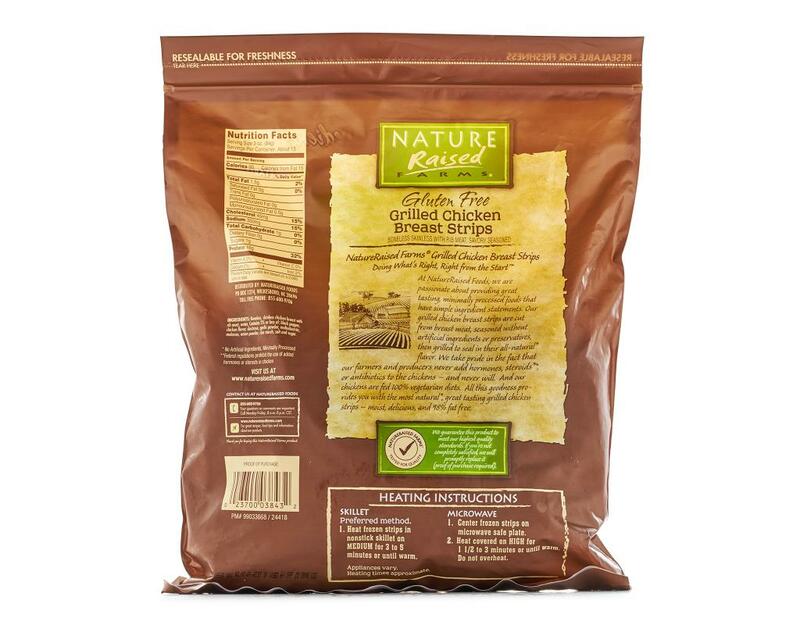 Contains 2% Or Less Of: Black Pepper, Chicken Flavor, Dextrose, Garlic Powder, Maltodextrin, Molasses, Onion Powder, Rice Starch, Salt And Sugar.